AMU Engineering Entrance Examination is a common entrance test conducted by Aligarh Muslim University (AMU) and its one of the oldest premier Central Universities of India with a Unique way of education. The University conducts the examination for several courses that include MBBS, BDS, BA LLB, MBA, MBA IB, MCA, MSW, SSSC (Science), SSSC (Humanities/Commerce), PG Diploma, B.Ed, B.Tech, B.Arch, and Diploma in Engineering, BA, B.Sc, BUMS/Pre-Tib, BLI (Sc. ), M.A. (Mass Comm. ), M.L.I.Sc, M.Sc (Biotechnology), LLM, C. E. T. (Professional Courses), Diploma in General Nursing, Master of Agribusiness Mgmt., B. S. W., M.Ed., M. F. C./M. T. A, B. A. (Hons. ), B. Sc. (Hons.) and B.Com Hons. The admission to the candidates is provided on the basis of his/her performance in the entrance examination. Candidates have to read the eligibility criteria relevant to the course for which they are applying and it is necessary for the candidates to fulfil the eligibility conditions for AMU entrance , in case of failing may cancel the candidature of candidate at any stage of admission process. B. Tech & B. Arch :-Candidates should have passed Senior Secondary School Certificate Examination from AMU or an equivalent examination from a recognized state/central board. The qualifying examination should be passed with Physics, Chemistry, Mathematics & English subjects by obtaining 50% marks in aggregate. Students who have completed diploma in engineering from this University with minimum aggregate of 50% marks are also eligible to apply. MBA/MBA (IB):-The qualification required to apply for MBA programme is bachelor’s degree passed in any discipline with minimum aggregate of 50% marks. MCA:-Pass B. Tech. / B. Arch. / B.E. with minimum aggregate of 55% marks. OR Pass Bachelor’s degree in Science with 55% aggregate marks & must have studied Mathematics with any two subjects (Statistics, Physics, Chemistry, Computer Application, Computer Maintenance, Information Technology). Diploma in Engineering:-Must have passed Secondary School Certificate of this University or an equivalent examination with English, Science and Mathematics by securing minimum 45% aggregate marks. BUMS :- 12th or its equivalent passed with PCB with minimum aggregate of 50% marks. Age should not be less than 17 years as on 31st December of the year of admission. B.A.LL.B. :-Students who have completed Senior Secondary School Certificate Examination or its equivalent examination with not less than 50% aggregate marks are eligible for this course. Graduates of Deeni Madaris who have completed Bridge course from AMU with not less than 50% aggregate marks are also eligible to apply. Maximum Age Limit – 22 years as on 1st July of the year of admission. M.A. (Mass Communication):-Prescribed qualification for this course is graduation passed with minimum aggregate of 50% marks. M.Sc Biotechnology:- Minimum educational requirement is Bachelor’s degree studied in Biological Sciences, Physical Sciences, Agriculture & Veterinary Sciences or Bachelor’s degree in Engineering and Technology (B. Tech.) or Medicine (M.B.B.S.) or B. Pharma with 55% marks. LL.M. :-The qualifying examination for this course is LL.B./B.A.LL.B. passed from AMU or any other equivalent University with minimum 55% marks. Diploma in General Nursing & Midwifery:- Senior Secondary School Certificate Examination passed from this University or an equivalent examination passed with not less than 40% marks in aggregate of any one (Science/Arts Stream with English Core/English Elective or Health care Science – Vocational stream only or Vocational ANM). Age should be in between 17-35 years as on 1st September of the year of admission. No age criteria for ANM registered candidates. B.Com (Hons. ):- Prerequisite qualification is Senior Secondary School Certificate Examination passed with commerce stream with minimum 55% marks in aggregate of English, Accounts and any two of the subjects from Economics, Business Studies, Business Organization, Commerce, Banking, Entrepreneurship, and Mathematics & Statistics. B.A. (Hons. ):-Minimum qualification requirement is Senior Secondary School Certificate Examination passed with at least 55% aggregate marks in English and three subjects from Accountancy, Arabic, Banking, Biology, Biotechnology, Business Organization, Business Studies, Chemistry, Commerce, Computer Science, Economics, Education, English, Fine Arts, Geography, Hindi, History, Home Science, Islamic Studies, Mathematics, Persian, Philosophy, Physical Health Education, Physics, Political Science /Civics, Psychology, Sanskrit, Sociology, Statistics, Urdu and Modern Indian Languages (Bengali, Tamil, Telugu, Malayalam, Marathi, Punjabi and Kashmiri). The Application forms will be available online from the second week of January till the third week of February. The application can be filled via offline as well as online mode through the official website of the University. Online application form can be filled online through the official website and for offline forms the candidates can download it from the official website and then fill it manually. The fee for exam can be paid through demand draft drawn in favour of Finance Officer, AMU, Aligarh payable at Aligarh or through Internet Banking/Credit Card/Debit Card or through local bank challan issued from Canara Bank, AMU Campus, Aligarh/ICICI Bank (extension counters) at AMU Campus, Aligarh. Candidates having 40% disability (PWD) are exempted from the payment application fee/processing charges for AMUEEE 2018. Such candidates are required to select Demand Draft Mode and fill the DD No. The Questions pattern of exam will be of objective type. They will have 4 answer options in every question, only one option will be correct. There will be negative marking in exam. Each correct answer will carry 1 mark, while for every incorrect answer, 1/4th marks will be deducted. The time duration will be 3 hours. comprise a total of 150 questions from Physics, Chemistry and Mathematics. University uploads the admit card on its official website and will not be sent to the candidates via post. It will be downloadable only from the controller’s website. The candidates are required to paste the recent passport size photograph on the downloaded admit card. The admit card for departmental courses will be issued one or two days before the examination and will be collected from the office where application form had submitted. Result will be published on the notice board of the concerned faculty/college/centre/official website. The candidates can check their result in the month of May/June. Cut-off is determined by various factors like candidates’ performance level, seat capacity of the respective courses, total number of test takers, and difficulty level of the paper and reservation policy. 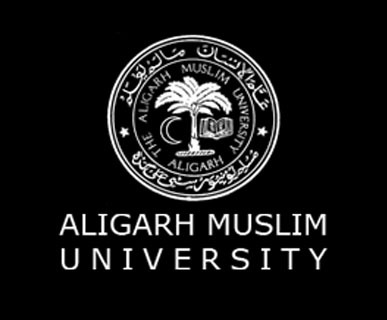 Candidates, who fail to secure the minimum marks required for admission to Aligarh Muslim University (AMU), will not be considered eligible for admissions to B. Tech courses at the university. The first round of counselling will be conducted tentatively in the fourth week of June. The second round of counselling will be held tentatively in the fourth week of July. The final allotment of seats will be done on the basis of the marks secured by the candidates in entrance exam. The performance of candidate in GD/Interview (wherever applicable) will also be taken into consideration for selection of admission. Candidates must choose their exam centres as per their choice while filling the Online or Offline Application Form. Exam centre once chosen cannot be changed in any circumstances.